We all have things that we feel quite strongly about, for completely irrational reasons. Me? I can’t stand rollercoasters. While some people get a kick out of the adrenaline rush, I prefer steady and smooth riding. One thing’s for sure—I don’t want the huge swings and volatile ups and downs. With the markets, I am the same. I can’t stand huge swings. I like steady and smooth. Consistency is the name of the game for me. No rollercoaster, no adrenaline. Just disciplined, measured and smooth. Traders of all skill level always ask —“How do I get more consistent?”. Sometimes they want to feel that they’re routinely getting into better setups and out of trades gone wrong. Or they want to improve their overall results, so that their equity curve is a steady, smooth march upward, with fewer drawdowns along the way. Or they have trouble with the preparation side of things and want to be steadier and more constant in getting ready for the markets. There are two key aspects to becoming more consistent: the first is your work, habits and preparation and the second is your results. Any level of success in the market requires effort, work and a basic level of emotional self-mastery. Consistent success is the product of the right amount of and type of preparation, work and approach to trading. The quality of your output—your P&L—is only as good as the quality and quantity of your inputs. In this post, we are going to look at the right steps to take to improve your inputs—and thereby your results. The key for trading is to make sure that your effort is consistent. Obviously, if you want to be a full-time portfolio manager or trader, then you can’t work on it two hours per week. You need to be putting in the hours and effort in order to make it happen. Of course, in order to do that, you need to make sure that you have the right amount of time to give. If you have too many commitments or activities, then you need to pare them down so as to give you the time to devote to proper preparation. You are going to be active in the market alongside people who are devoting 60+ hours/week to studying the markets, researching investments and preparing, so you want to have at least the minimum preparation necessary to hold your own. One thing related to this is making sure that the timing of your effort is consistent. The markets are open almost every day, so you want to be putting in a certain minimum amount of time every day. If you want to be successful, you can’t put in a couple days of work and then do nothing for a week; you need to be putting in the necessary amount of time every day and smoothing out your efforts. The best way to make sure that you are putting in the necessary effort and preparation is to create a a routine—to define what kind of research, preparation and review you will be doing every day and every week. That way, instead of your market activities being scattered and unfocused, you can determine the minimum that you have to do every day. You are turning your preparation and effort into a habit. Think of all of the things that you do every day, like brushing your teeth or exercising. You are able to do those because they have become habits. You do almost automatically, without thinking about them. The best way to make your preparation as consistent as possible is to turn it into another habitual activity, something that you undertake almost automatically. In his book The Slight Edge, Jeff Olson identifies the key to sustained success in any sphere as simple actions undertaken daily. In his research, he found that small, daily efforts were much more effective in producing long-term progress than concentrated but less frequent bursts of activity. By keeping our goal constantly in front of us, we stay focused on it. The discipline of working at it every day, even if only for a couple minutes in a seemingly insignificant way, ensures that we will also be moving forward. The edge that we get from daily action may seem slight at first but over time it produces massive compounded returns. We should think of our preparation as a “slight edge” behavior—by being consistent and disciplined with it, we are undertaking an activity that will produce a massive cumulative gain for us. Of course, there are some activities that you do automatically that are not helpful. Think of the hours that you can lose checking social networks or idly chatting with friends. Think of the habitual arguments that you have with your spouse. All of these are also automatic behaviors, and not ones that necessarily help you. In the case of trading, you want your habits to be ones that help you advance in the direction of your goals. Thus, you need to create habits and routines that assist you in your trading. Much like you brush your teeth automatically every day (at least, I hope you do!) and thereby improve your health, you will want to create similar automatic habits. In addition, you need to create or reinforce habits outside of trading that can reinforce your success. Some of the most obvious ones support a healthy lifestyle—getting enough good sleep; eating right; exercising; and making sure to relax thoroughly from time to time, in order to de-stress and recuperate. 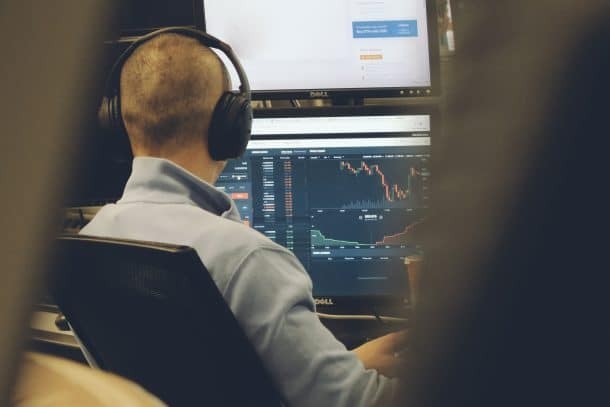 These are also habits that will help you become a more successful trader, even if they aren’t directly related to the markets. Never forget—a healthy mind needs a healthy body. How Do I Create Helpful Habits? In the ground-breaking book The Power of Habit, the author Charles Duhigg studies how we create and maintain habits. The first step is realizing that habits are mostly unconscious, automatic behaviors that we do without thinking, much like getting dressed or taking the dog out every day. Because we have done them so many times, we don’t have to think or make difficult decisions—instead, we can just go on autopilot. One of the reasons why we create habits is because they don’t tax our willpower, which is a limited resource. This frees up our brain’s higher functions for making other decisions that are new or require more cognitive effort. The key to creating habits is setting up these autopilot routines. Reward. This is the reason that we do something- the reward, prize or alleviation of a problem. The book digs down to describe certain habitual actions, like brushing our teeth: as we’re going to bed, we add toothpaste to our toothbrush; we brush our teeth; then we get the tingling, minty, clean sensation in our mouth. Bingo. We are hooked and want to brush our teeth every day, forever. Our trading habits should be no different. We need to create a cue; a set of routine actions; and a reward. These are cues for preparation that happens every day. You can add in additional cues, for instance doing a big burst of additional research every Saturday morning. You can make the cue easier for yourself by getting your preparation materials in advance. Just like someone who wants to go running leaves their gym shoes out the night before, you could leave your handwritten journal out on your desk, making it easy to get started the next morning. Once there’s a cue, then you start your preparation routine. The level of preparation obviously depends on your trading style and circumstances. Intraday traders will need to undertake intensive and thorough preparation every day, monitoring a number of things; long-term investors may restrict themselves to ten minutes of looking at prices, major news items and corporate actions; the bulk of their activity would be absorbed by setting and then executing their research program for the day. No matter what, the best way to prepare is to have a pre-defined preparation routine that is either completely or nearly completely pre-determined. You want to have a list of tasks to complete. A sample list may look like this for a hedge fund manager who is focused on stocks. Get into the office and sit down at computer. Altogether, this preparation routine may take up to an hour at the start of the day, but it is what the Power of Habit calls a keystone habit—as in, it is the one that shores up almost everything else around you. If you are doing your preparation properly and habitually, then you will make better-informed decisions about what to buy and sell; you will feel calmer in spite of market movements because you will be better prepared for anything that may come; and you will have more structure and be more productive during your workday, because you planned out your research schedule in advance. Consistent, habitual preparation is the keystone habit that will lead you to greater trading success—its effect on your results is multiplicative. Create an accountability system for yourself. This is a way of tracking for yourself that you are doing your preparation routinely. It should be quite easy to track. As an example, Jerry Seinfeld famously kept a big wall calendar for himself. Any day that he wrote jokes or practiced, he would put a big X through that day. After a few days of X’s, he would have a chain—and his stated goal was “not to break the chain”. You could do a simple exercise like this to keep track of when you are doing the necessary preparation. It could be a big wall calendar; in Mircosoft Outlook; or in a simple log file in Microsoft Excel. Whatever it takes, get started. Create outside accountability. Talking with someone else is a powerful accountability mechanism. Many groups have been able to instill and strengthen habits through groups and accountability to that group. In The Power of Habit, they cite the example of Alcoholics Anonymous—where members have to follow a rigid 12-step program and constantly report on their progress to other members. Similarly, many successful people report that they have a Mastermind group—a small coterie of like-minded business people with whom they share their plans and activities and who keep each other on track. In order for outside accountability to work and to help boost your consistency, it has to be regular. Your accountability system won’t work if you only meet with your partner once every six months. Rather, you should meet or communicate regularly. Ideally, it would be weekly. “Facing the music” weekly will have a dramatic and positive impact on your consistency. Track the quality of your preparation. You could keep a journal where you review the consistency of your habits and also rate the quality of your preparation. For instance, if you are really tired due to illness or if you got in late because of terrible traffic, then you would rate your preparation as a 5 out of 10; if you were all ready to go and really plunged into it, then it would hopefully be closer to an 8 or 9. You have already created a system to track the frequency of your preparation; your goal is to create a monitoring system for quality to make sure that you are consistently giving your best effort. When traders say that they want to be more consistent, they usually mean that they want their results to be more consistent. To wit, they want to be profitable more often with fewer drawdowns. They want to experience a smooth, steadily rising equity curve, not a rollercoaster P&L. They want to feel like they are making consistent profits and progress, rather than spinning their wheels. One of the best ways to do that is through making your efforts consistent—because the quality of your output will vary with your input, then you want to make sure that you are taking all of the necessary steps. But if you have the goal of making your results more consistent, then there are a few things you can do. The first is to define what consistent or more consistent means to you—because this is dependent on your style. Consistency looks different for different styles. If you are a day trader, then your results should be relatively consistent from month to month. While you may have great days or terrible days, you shouldn’t see tremendous deviation over longer periods of time. Contrast that with a macro-focused portfolio manager who is putting expressing economic views with a time horizon of a year. His results could fluctuate tremendously from month to month, and even from year to year. Profitability on the appropriate time frame e.g. dollars per week for intraday traders; percent per year for long-term investors. You want to have an idea of what you are shooting for. Drawdowns. What is the maximum drawdown that you would permit yourself before stopping out of all of your positions and just moving to cash? Again, this needs to be in keeping with your style. A long-term buy and hold investor in stocks has to be able to withstand a 2% swing in his account; he would probably only get nervous about 25% drawdowns. Frequency of taking positions and trading. You want to make sure that you are putting on positions as frequently or infrequently as you would expect. If you think that you are a long-term investor and that your strengths like in fundmental analysis and proceed to turn over your portfolio in one month, then there is a problem! Once you have these numerical targets in mind, then you know what consistent results will look like. You know what signposts to look for on your trading journey, as you move towards the kind of results you want. As the quality and consistency of your inputs improves—i.e. your preparation—then you should see a boost to your returns. By setting targets for your results, monitoring your progress and making various tweaks along the way, you can improve. Big drawdowns are the biggest threat to a consistent, long-term track record. Most people think that you need to take a lot of risk. To accumulate a large amount of capital, you don’t need to make 40% per year and always try to hit home runs. That would actually put you at risk for significant drawdowns which would take forever to come back from. If you want to get rich without jeopardizing your financial future, then 12-15% returns annualized with small drawdowns is a perfectly valid strategy. If you avoid big drawdowns yet take a little bit of risk, then you can generate positive returns every year. This is the model of steady, consistent returns. If you take too much risk, then your emotions get involved. If you take a lot of risk, then your P&L swings will be bigger—and this will inevitably involve your emotions. Your proclivity to greed or fear will skyrocket—because your overall account is fluctuating dramatically with every tick. If the pain gets too big on a losing position, then you just cut it – even if it’s not the right decision to make. Similarly, you may cling to a winner because it’s made you a lot of money, even if it’s not the right position to hold. Either way, your emotions are beginning to cloud your judgment, which is lethal for most trading decisions. The quickest way to avoid this emotional rollercoaster is reduce your position size by a few notches. That way, you can stay focused on your decision-making process rather than on the monetary sums involved. You can become detached from the short-term swings in P&L and stay unemotional. This is the ideal state from which to be making risk/reward decisions. When you take less risk, your P&L will show smaller, less dramatic fluctuations. Youaren’t going to earn 100% in a year—your P&L will probably emulate the fairy tale of “slow and steady winning the race”. But slow and steady is the very definition of consistent! 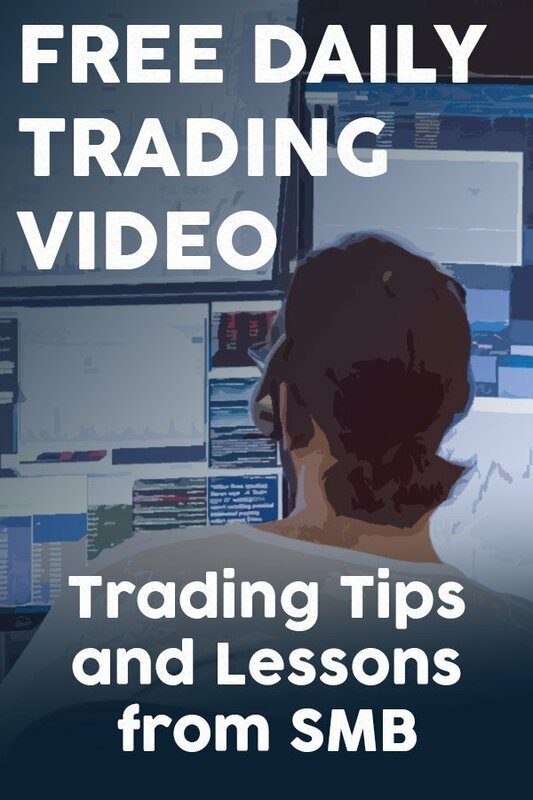 By dialing down the risk and focusing on executing your bread-and-butter trading strategy, you will produce the smoother, more consistent results that you are looking for. Bottom line: Cut your risk down, focus on trading better and you will get the results that you are looking for. In his Market Wizards interview, Bruce Kovner gave his infamous advice on how to be a better trader: “Undertrade, undertrade, undertrade”. I love this quote so much that I have it taped to my computer monitor. I interpret it to mean dialing down the freuqnency of your trading and the bet size. Instead of trying to get rich quick, just relax, trade smaller size and focus on making better risk/reward decisions. You will get the consistency that you seek. too long! SHorter posts please. If I wanted to read something that long I would have bought a book. A blog post should be short and straight to the point.